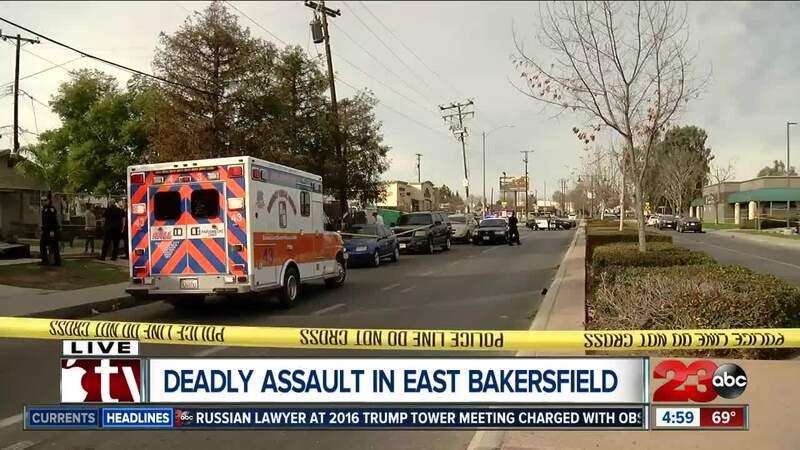 BAKERSFIELD, Calif. — Update: The Bakersfield Police Department has confirmed that this incident was determined to be a homicide. We will update with additional information. The Bakersfield Police Department is on-scene after an assault in East Bakersfield. According to BPD, around 2:25 p.m. officers received calls about a man down on the side of the road on Potomac Avenue and Dr. Martin Luther King, Jr. Boulevard. in East Bakersfield. When officers arrived, they found the man, who appeared to have been a victim of an assault. BPD says that fire and medical personnel performed all life-saving measures, however the man died on-scene. Dr. Martin Luther King, Jr. Boulevard is currently closed in both directions between 9th Street and Potomac Avenue. BPD says they do not know how long the area will be closed.